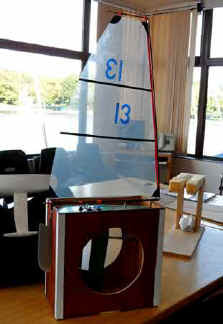 Four sailors contested the September 25 2012 Footy event, it should have been five but Graham’s rudder decided it did not want to play. This was the first competitive outing for Roger Unitt with his new (very nicely built PETG 1299). His final position belying his potential performance after leading a couple of races only for the fickle wind direction to undo the end result, still two seconds first time out can't be bad. Peter was very consistent just missing out on a win in a couple of races, Mark had a roller coaster event going from first to last and back again in securing second place. 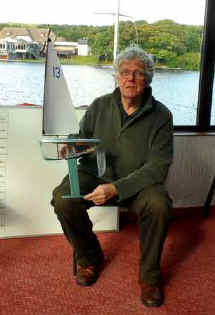 John sailed his Half Pint 2 very well to take the honours on the day. Only one Footy event left in the series, we have had eighteen skippers take part during the course of the year lets hope we can drum up a larger fleet for the finale. Thanks to the galley crew and Alan Coleman for OOD.